This was a difficult week for traders using Nat’s daily inflection points (but not for her full access members). Full access members had the benefit of calls made before and during the trading session that made it easier to capture some of these trades. But for traders using resting orders placed overnight, the entry was missed by inches, which means that their orders didn’t get filled. Very frustrating. One trade that did work was the oil futures on Tuesday. 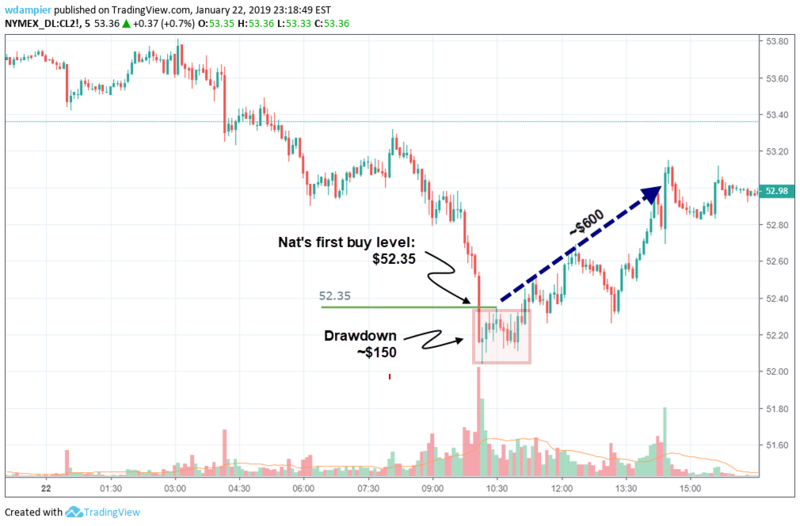 The buy entry at $52.35 was hit during a long decline that started overnight and continued into the day session. 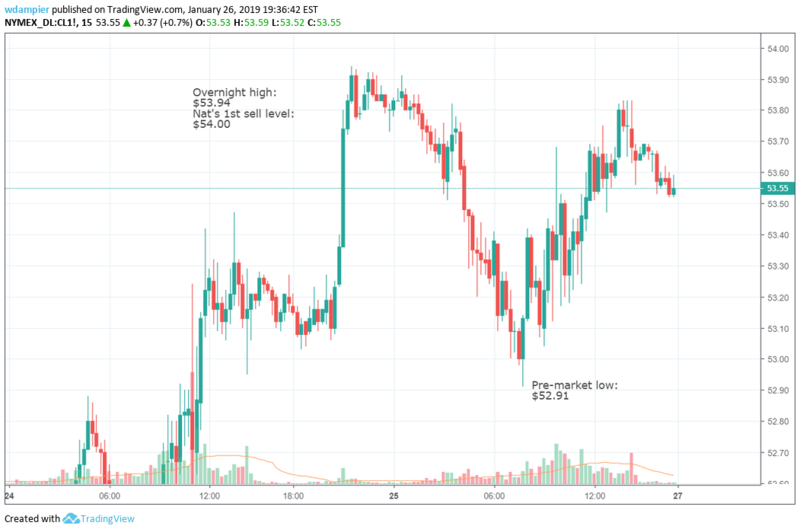 The price then rallied into the close for a maximum potential profit of about $600 — a nice trade, but not as nice as some of the others that got away. Here’s an example: Oil futures on Friday, Jan. 25.